Do you have a love for extreme comfort and sharks? 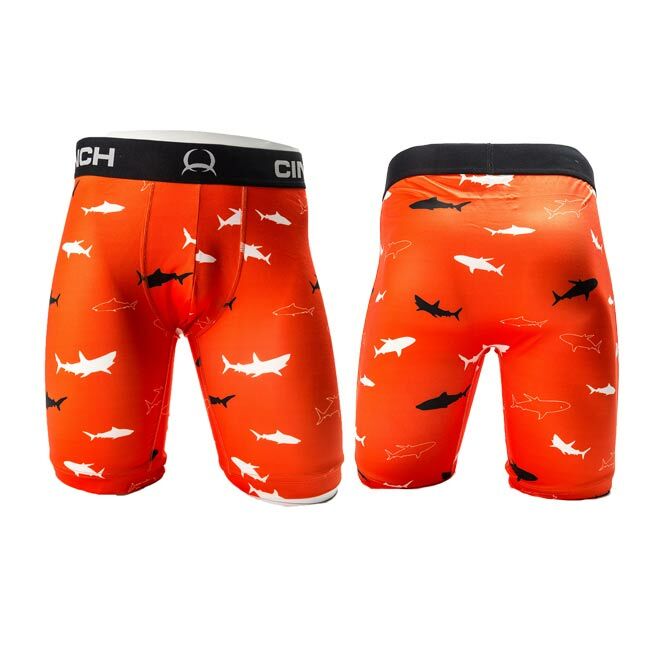 These Cinch Orange 9 Inch Shark Boxers utilize poly-spandex knit and a logo waistband to bring to you the crème de la crème of underwear. You will adore the feel they give and the confidence wearing this shark print. Enjoy wearing this fierce Cinch boxer’s day in and day out.